Fiction based on historical events, or ‘faction’ as I believe it can be called, is something that appeals to me but all the more when it’s on the a smaller scale. We are often given fictional accounts of wars and the bigger things, which are all well and good, but occasionally it’s the lesser known stories, often the more bizarre, that tends to capture my imagination. It’s like when you are told old family tales which you just couldn’t imagine happening, we all have one don’t we, for example there was my great-great aunty Betty who after not visiting her husband’s grave for several years turned up to discover another woman was buried with him where she was meant to go one day. It’s these true yet unbelievable tales that can be the most appealing because they seem stranger than fiction. In the case of ‘Eat Him If You Like’ Jean Teulé gives us not a dark family tale but one of a whole village that seemed to turn mad one summer day. ‘Eat Him If You Like’ fictionalises the true events which took place on the 16th of August 1870 when the town of Hautefaye collectively seemed to lose their minds. 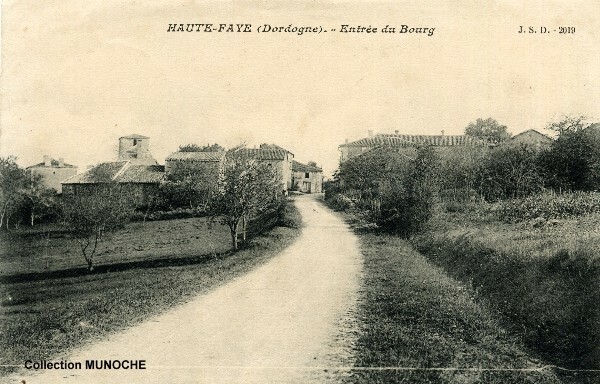 The village was having one of its regular fairs when there was some misunderstanding between the locals and Alain de Moneys and his cousin the Vicomte Camille Maillard Lafaye who was reported to have said something negative about the current state of the war between France and Prussia. Camille managed to flee the scene and so the villagers turned on Alain and subjected him to horrific torture before burning him alive and eating him. Here you may think I have given too much away, but the blurb says all this on the back of the book, and it is the situation, how it happened and the outcome that made me want to read about it; and what happens after the horrific event is indeed grimly fascinating (along with the fact that I thought Jean Teulé’s novel ‘The Suicide Shop’ was a brilliant black comedy and had wanted to read more by him). In fact ‘grimly fascinating’ really sums up ‘Eat Him If You Like’ because it is possibly one of the goriest tales I have read in some time. I have quite a hardened stomach and there were two moments in this novella that I both squirmed and actually felt slightly unwell. Yet these events actually happened, so this isn’t an author using the horrific to shock, he uses it to make a point and to really show just how awful the events happened and how a simple misunderstanding can become something so horrendous and how people will pin blame and follower a leader without thinking things through. ‘Now now, my friends, what’s going on?’ said Alain, limping towards them. As well as being horrific this novel is also rather moving, and indeed in parts very funny – I had this same reaction to ‘The Suicide Shop’ if I remember rightly. Teulé gets us into the head of Alain ery quickly, we learn he is a sweet, possibly a little too innocent, young man who was doing much for his local community and helping the villagers and indeed village of Hautefaye in many ways. Hence why what follows is made all the more shocking and saddening as people he helped seem to forget all that in favour of the heightened drama. Teulé also uses this to humorous effect, for example when Alain is being dragged through the street with people throwing rocks at his head and screaming he is an evil Prussian, Teulé writes that his victim of circumstance dreamily ponders that he ‘had never had a nickname before, but it seemed like this one was sticking.’ Well, it made me laugh anyway. Despite the initial funny moments overall Teulé manages to build up a sense of Alain as a person, the heightened political tensions of the time and the villagers and the atmosphere of a village in the middle of nowhere. As he does this he builds a real sense of impending dread and doom before suddenly the true horrors are unleashed. This, as I mention before, is all done for a reason, as by the end I found myself incredibly moved by the unfairness of Alain’s tale and circumstance, shocked people could actually have done such a thing and a sense of the loss of a village who have to deal with what they have done in what was an incredibly long moment of madness. ‘Eat Him If You Like’ is a beguilingly small book for all it achieves. If you are rather faint hearted then it might not be advisable to pick this up, however if you are made of sterner stuff this is a novella I would certainly recommend it makes you feel uncomfortable for all the right reasons, in fact I found myself watching the news and thinking ‘have we actually moved on from this mentality in some ways, isn’t this very thing still happening now?’ A thought provoking novella and one that shows a superb author keen to tell a tale that we can learn from. I always find that when people send me books who I don’t know too well send me books they shoot up the TBR faster than from people who I do know well. I guess I think the latter won’t be offended! This has been the case with ‘The Suicide Shop’ by Jean Teulé which a very kind reader of this blog sent me as a treat and because they thought that ‘it would be a very Savidge read’ and ‘mixes dystopian literature with lots of dark laughter’. I always wonder if the blog gives enough of my personality away and if my reading, which is quite varied I like to think, ever shows a pattern of what might make a book quite ‘me’. It seems it might, though you may not agree? Set in a not too distant future the life for people in the City of Forgotten Religions isn’t great. The world has gone into a huge environmental decline; the sands are taking over and sulphuric acid rains down from the skies. There isn’t much to live for really as the world seems truly without hope. That’s where the Tuvache family come, in for they run ‘The Suicide Shop’ which has everything a suicidal customer could want no matter what the budget. In fact at one point they give a tramp one of their free carrier bags to suffocate himself with as long as people can see the logo ‘Has your life been a failure? Let’s make your death a success’ clearly. However there is a flaw in the Tuvache family, as after generation after generation of miserable sons have been born Mishima and Lucrece’s youngest son Alan is born with nothing but joy, love and positivity in his heart. This is neither good for custom or indeed for the family as it seems to be contagious, even elder sister Marilyn falls in love with the local cemetery warden not long after she is injected with a venom that means she can kill with her saliva, making her the perfect kiss-o-gram for the shop. What follows is a comic caper of family drama and a wry look at just what could happen to the future of society. I haven’t laughed out loud so much at a book in ages, not quite sure what that says about me? I know it’s a delicate subject but sometimes we need to have a look at the comic side of the worst aspects of life and this book does just that. What makes it such a great read is that despite their being the setting of a future world where anything could happen and having situations that could go into melodrama Teulé never does, it’s always just funny enough without going too far and some authors simply can’t get that balance. Teulé’s humour is spot on. Translator Sue Dyson must also have great humour to have translated this so well from its French origins too.